By Adrienne Rivera. May 5, 2017. 9:00 AM. Every year, thousands of readers look forward to film adaptations of their favorite novels. Often the screenplays for these films are adapted by independent screenwriters, but there are also many cases when the screenplays are actually written by the author of the source material. For lovers of the original books, it's comforting to know their favorite stories are being treated respectfully and with consideration to the author's original intentions. Many authors also work as screenwriters and not just on adaptations of their own works, but on movies based on novels by other authors or on the scripts for entirely original movies. Here are some writers who split their time between work on novels and work on screenplays. Michael Crichton is best known for his work within the thriller genre, having penned some of the most unique and popular speculative fiction novels of the '70s, '80s, and '90s. His novels include Jurassic Park, The Andromeda Strain, Congo, Sphere, and Timeline, among many more. An astounding number of his novels have been adapted into film, to the point that if someone has not read a Crichton novel, there is a strong chance they have seen a film adaptation of one. 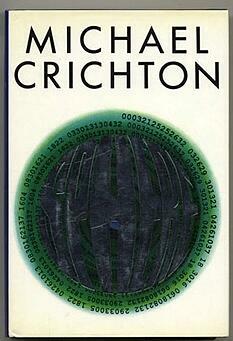 Crichton is also known for having created the long-running television series ER. In addition to his prolific and successful career as a novelist, Crichton wrote the screenplay for Westworld—which has recently been adapted into a television series—as well as The Great Train Robbery and Twister, just to name a few. 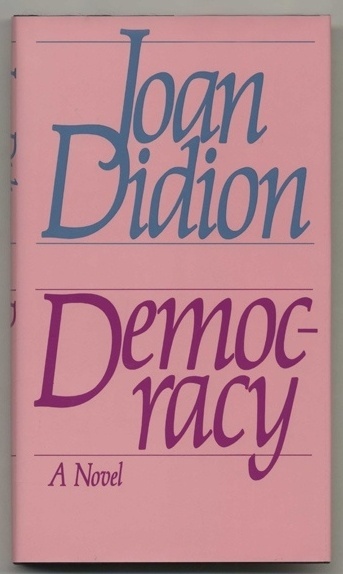 A pioneer in New Journalism, Didion is known best for her non-fiction like Slouching Towards Bethlehem and The Year of Magical Thinking, as well as novels like Play It As It Lays, The Last Thing He Wanted, and A Book of Common Prayer. Didion's screenplays were often written with her husband, the late John Gregory Dunne. Together, they adapted her novel Play It As It Lays and wrote the script for A Star Is Born, a 1976 film starring Barbra Streisand and Kris Kristofferson. They also collaborated on the screenplay for Up Close & Personal starring Michelle Pfeiffer and Robert Redford. The experience of writing Up Close & Personal was harrowing for Didion as much of the original details of the source material, Golden Girl: The Story of Jessica Savitch, did not make it into the film due to executives' decisions. Since Dunne's death, Didion has written only one screenplay, for As it Happens (2012) though she remains prolific in other genres. Roald Dahl is widely regarded as one of the most important writers of children's literature in history. Many of his books are considered classics, and many of them have been adapted into film (some of them more than once), including Charlie and the Chocolate Factory, Matilda, James and the Giant Peach, The Fantastic Mr. Fox, The Witches, and The BFG. Interestingly enough, though Dahl made quite a career for himself writing stage and screenplays as well as television scripts, he only wrote the script for one of his own novel adaptations—the screenplay for Willy Wonka and the Chocolate Factory—which, much to his displeasure, was finished and altered by another writer. Dahl's other screenplays include The Night Digger, You Only Live Twice, and Chitty Chitty Bang Bang. Dave Eggers' first book, A Heartbreaking Work of Staggering Genius, a somewhat fictionalized memoir of his experiences raising his younger brother after the deaths of both his parents, catapulted him into the literary world and earned him a nomination for the Pulitzer Prize. His other books have since been critically and commercially well-received and include The Circle, which has been adapted into a movie starring Emma Watson. Though he did not write the adaptation for this film, he has several impressive screenwriting credits to his name. In 2009, he wrote Away We Go with wife Vendela Vida, which was directed by Sam Mendes and stars Maya Rudolph and John Krasinski. That same year he wrote the script for Where the Wild Things Are with Spike Jonze. There is perhaps no better known living writer than Stephen King. King's works have topped best seller lists for decades, and he continues to prolifically publish both novels and short story collections as well as articles. He is the recipient of numerous awards, including the prestigious Hugo and Bram Stoker Awards. King has also been awarded a Medal for Distinguished Contribution to American Letters. His most recent works include Finders Keepers, Mr. Mercedes, and End of Watch. His Dark Tower series is soon to be released as a film starring Idris Elba and Matthew McConaughey. King has written an impressive number of screenplays, including A Good Marriage, Pet Sematary, The Stand, and The Shining. 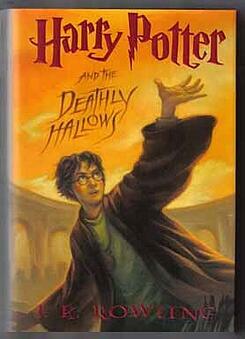 J.K. Rowling, renowned author of the Harry Potter series, has only recently taken up writing screenplays. Though she had script approval for each of the adaptations of the Harry Potter books and co-wrote the stage play Harry Potter and the Cursed Child, Fantastic Beasts and Where to Find Them (2016), a spin off of the world created in the Harry Potter books, is her first screenplay. Rowling will be writing the sequels to the rest of the books in the Fantastic Beasts series as well as serving as a producer. Aldous Huxley was nominated for no less than seven Nobel Prizes during his lifetime. While he is best known for his novel Brave New World, he also published numerous other novels, as well as short stories, poems, essays, articles, children's books, and stage plays. Though several of his novels were adapted into films, he did not write the screenplays for any of them. Instead, he turned his own talents toward the adaptation of other British writers' works. Huxley wrote adaptations for Charlotte Brontë's Jane Eyre and Jane Austen's Pride and Prejudice, in 1944 and 1940 respectively.